After keeping this publication on life-support for the past half-year, I have come to one of the most difficult decisions in my life: to end Texpatriate. I started this blog about three years ago, as an exercise-in-futility to keep up with local politics while I was away at college in Boston. As time went on, I started writing better and more-often; and for some reason, people started reading. When I returned to Houston for a lengthy summer after my freshman year, three of my friends and former co-workers from City Hall joined me. All of a sudden, Texpatriate turned into a force to be reckoned with, not only in Houston, but around the state. I think I first realized everything had changed when representatives of mayoral campaigns began contacting me, asking for our endorsement. Our questionnaires were completed by all the campaigns and, when our endorsements were published, they were spread far and wide by those who received them. Eventually, I left Boston behind and continued college at UT-Austin. It was at this point that my path began to stray from this publication. I joined the staff of The Daily Texan, and quickly rose up the ranks, first to the editorial board and now as Senior Associate Editor, the second name on the masthead. I concurrently started working in public relations and government affairs in Houston for the Clifford Group, which obviously brought me into a whole new side of municipal politics that sometimes added conflicts of interest into local issues. Some of my colleagues lost interest in local politics, and I really can’t blame them for that. Three years is a remarkably long time in politics. When I started this publication, no one had heard of Wendy Davis or Ted Cruz. But, more pressing for me, it feels like this blog has been a part of my life for time immemorial. I wrote the posts of Texpate in my dorm room, in my parents’ house, in bars, in cafeterias, in lecture halls, in friends’ apartments, in hotel rooms, in cafes, in airplanes, in the state capitol and in city hall. I posted content on my phone, at the beach, in the backseat of cars, while hiking, at the pool and — embarrassingly — at parties. I offered Texpatriate’s submissions to the Texas Progressive Alliance roundup on a whole array of Sunday mornings. This was an integral part of my life, and it is weird to think how I will live without it, even already after six months of minimal updates. Looking toward the future, I likely have two more semesters of undergraduate education, and then will continue onto law school. All this is to say I still have some years before I officially enter the workforce. I might return to blogging, but I don’t want to make a promise about that. What I can promise is that I will be still be quite active in Houston and Texas politics; it just might take on different forms. So thank you to my family, who got me interested in politics, taught me how to write and even came up with one of the greatest blog names I have ever seen. Thank you to Andrew, George and Olivia for providing the backbone of this publication for so many years. Thank you to Sophia and Simone for proving I’m not the youngest person in Houston interested in politics; I definitely learned as much from y’all as y’all did from me. Thank you to Charles, Neil, Perry, Stace and Wayne for welcoming me into the Houston blogging community. Thank you to Greg for proving friends in blogging can still exist on the other side of the aisle. Thank you to Harold, Karl-Thomas, Ted, Trey and Vince, for welcoming me into the statewide blogging community, particularly at last year’s convention. Most of all, thank you to you, the reader, for sticking with me through thick and thin for so long. It’s been one of the most preeminent privileges of my life to write this publication precisely because of you. I will always appreciate your support. This afternoon, Tony Morris passed away just days after his 64th birthday, following a long battle with cancer. Anyone who does not know who Tony Morris was obviously not paying enough attention to Houston city politics. He has been a fixture at City Hall for more than 30 years, since the Mayoralty of Kathy Whitmire and throughout the four administrations that followed. An independent freelancing photojournalist, he worked with Houston Style Magazine and many other respected publications throughout his tenure, as well as provided photography for the City in certain situations. He was perhaps most renowned among the general public for his larger-than-life presence in the press section of the City Council chambers, as well as his often flamboyant sartorial selections. However, fewer people had the privilege of actually getting to know Mr Morris, his unmatched kindness & patience or his fantastic political acumen. In fact, I had the pleasure of getting to know him from a number of different perspectives. First as a City employee, but also as a member of the press corps; not to mention interactions with him on the campaign trail with my father last year. But my very first interaction with Mr Morris occurred before any of that, when I was just a 15 year old with an audacious plan to address the City Council during public session. I had never been to a City Council meeting before, and was quite unfamiliar with the entire procedure. Kindly and patiently, Mr Morris walked me through everything that would happen, and the typical protocol of what I should do when I approached the lectern at my turn to speak. That speech lead to me working at City Hall for the remainder of High School, through the Mayor’s Youth Council program. Once again, Mr Morris was a regular attendant to our events, and even volunteered his photography skills to us when no one else from the City would document the important tasks we accomplished. He was, with perhaps one exception, the only member of the City Hall press corps to ever see what the young people were up to. I have a picture of Mayor Annise Parker and me, standing behind the Mayor’s seat at the council horseshoe that Mr Morris took, it’s still framed and hanging on my wall. Heck, I think he took my Senior Yearbook Photo too! Mr Morris understood the value of young people in politics in a way that, admittedly, many members of the City Council at that time simply did not. He approached every person with whom he conversed the same. Young or old, black or white, powerful or not, he gave you the utmost respect and attention, yet again in a way that many elected officials could learn therefrom. But it was only last Autumn, when my father was running his campaign for the City Council At-large #5, that I truly discovered the local treasure that was Mr Morris’ nearly unmatched acuity in local politics. He engaged us over why my dad was running, and why not support the incumbent. We must have talked to close to an hour, and I must concede that he bested me on a few points of discussion. While his sheer intellect was indubitably very impressive, Mr Morris possessed an unmatched wisdom in City politics perhaps only matched by the City Secretary herself. He was able to see the long story in a way most others can’t –and never will. City Council meetings, simply put, will just never me the same without Mr Morris. His role transcended that of the press, of spectator or even of longtime observer. He carved out a new place on Bagby Street, just for him, a unique legacy for an inimitable man. John Castillo, a member of the Houston City Council from 1996 to 2000, has passed away, reports the Houston Chronicle. Castillo, in addition to his duties as an elected official, was one of the most prominent Hispanic political activists in the City. His brother-in-law, Leonel Castillo, served as City Controller in the 1970s and later as the Director of the INS, both positions that John Castillo was instrumental in obtaining for him. For every election that his brother-in-law or Ben Reyes won early on, advancing the cause of his community, Castillo was every bit as important from behind the scenes. “Leonel was the heart and soul of the Latino political movement, and John was the brains,” Reyes said about his mentor. Similarly conciliatory in his comments was Marc Campos, a local political consultant. “Back in the ’70s, we didn’t really have mentors. We were all learning back then. He was probably the first real numbers guy we had,” Campos said. I am a little late to recognize this, but it was a very important event that deserves recognition nonetheless. Robert Strauss, the former Chairman of the Democratic National Convention and a truly larger than life figure for Texas Democrats, died on Tuesday at the age of 95. A product of rural Texas, Strauss attended UT and quickly befriended a fellow student named John Connolly. He, of course, would go on to serve as Governor in the 1960s, when Strauss served as a key adviser to both him and President Lyndon Johnson. Beginning in 1972, Strauss served as the Chairman of the Democratic National Convention. He continued to serve in that capacity until Jimmy Carter was inaugurated as President in 1977. In fact, for two of those years, fellow Texan George H.W. 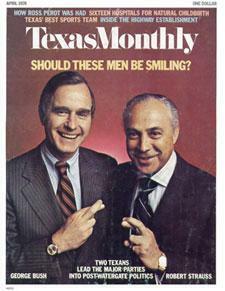 Bush served as the Chairman of the Republican National Committee, prompting Texas Monthly to run this cover in 1974. The Beaumont Enterprise reports that Reuben Senterfitt, a prominent former State Representative who served as the Speaker of the Texas House, has passed away at the age of 96. Senterfitt, a native of San Saba County, is perhaps best known for helping to create the MD Anderson Cancer Center during his first term in office. At that time, 1941, he was only 23 years old, one of the youngest members of the State Legislature. Among his other accomplishments listed by the Enterprise are his support for Veterans welfare, Education reform and the creation of the Legislative Budget Board. Heeding the call to his country, Senterfitt fought in World War II while in the Legislature, a tradition later followed by other State Representatives. After the war, he continued rising through the ranks until he became the Speaker of the House. For the second time in the State’s history, he served in the office for multiple consecutive terms. Click here to read more about Speaker Senterfitt! Texpatriate has learned that Leonel Castillo, the larger-than-life political figure in Houston’s Hispanic community, has passed away at the age of 74. Castillo, who served as Houston’s City Controller from 1972 to 1977 and as the Director of the INS under Jimmy Carter from 1977 to 1979, died after lingering health problems. 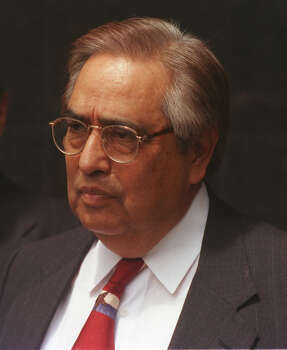 Castillo was a maverick amongst the Mexican-American political community in Houston, and arguably served as a mentor and inspiration for Ben Reyes and other prominent Hispanic politicians. He first entered the political fray a mere four years after moving to Houston, back when the City Charter mandated a five year residency requirement to run for the City Council. Still wanting to throw his hat into the ring, he challenged the City Controller, Roy Oakes, a fourteen-term incumbent. 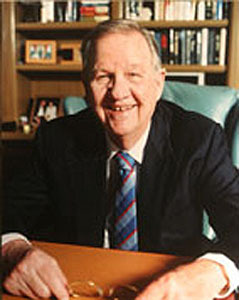 Oakes, a fiscal conservative and ally of the Republican Mayor (Louie Welch), was defeated by Castillo in 1971 in a landmark victory for Hispanics in Houston. Re-elected twice more, Castillo was rumored as a future Statewide officeholder, so taking a post such as Comptroller or Railroad Commissioner seemed destined in his future. After working hard to deliver the Hispanic vote to Jimmy Carter (the 1976 election was the last time Texas voted Democratic in a presidential year), Castillo was appointed by the President as the Chairman of the Immigration and Naturalization Service (INS).